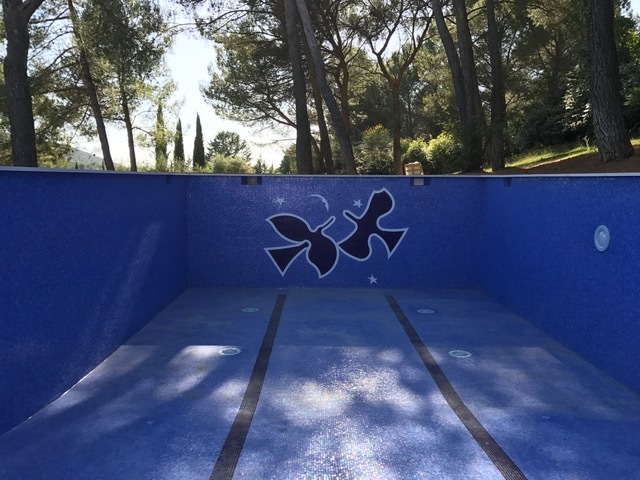 We traveled to France to develop a new, exciting project: the mosaic decoration of the pool in a prestigious Villa in Provence. The project was born by the union of different visions, the one of our architect and the landlord’s ones, all together in synergy with our French showroom. 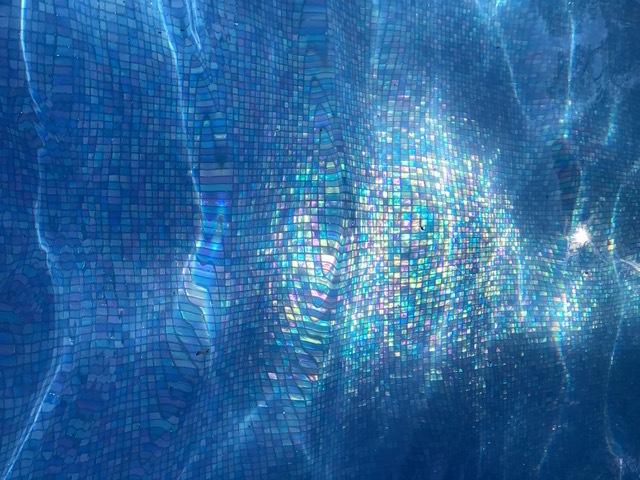 This mosaic composition was meant to meet the client’s ideas of customization and to develop them into something special with our unique expertise. From colors to materials, we chose the perfect tesserae to perfectly realize our client’s wishes. 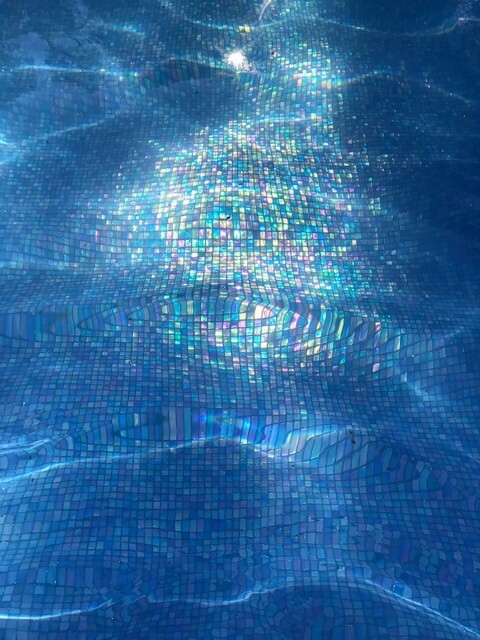 We finely combined three different kinds of mosaic from our collections: Iridium Perwinkle (picture above) for the pool’s main body – perfect to capture the light and to obtain this glamorous iridescent look – , Navy and Murano White for decorations and blue lines (picture below). 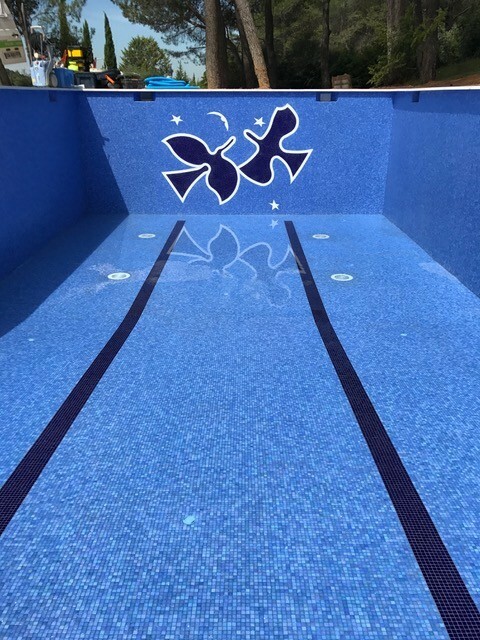 Elegance, passion and a tasteful outcome is what always drives us in the development of projects, and this pool is no exception. 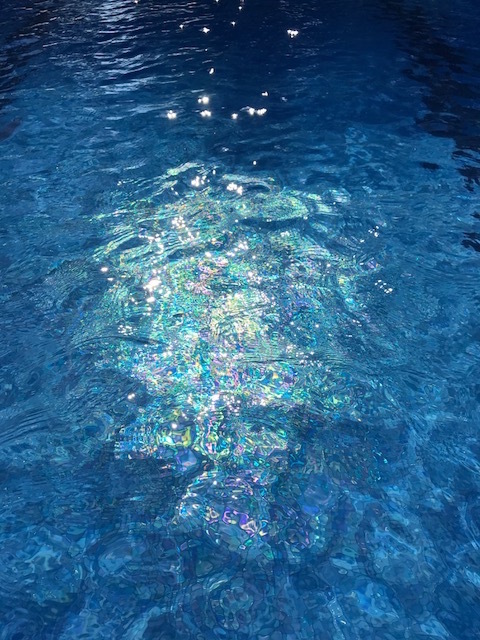 A last glim of this iridescent light our tesserae capture so beautifully and we’re ready to jump on the next project. 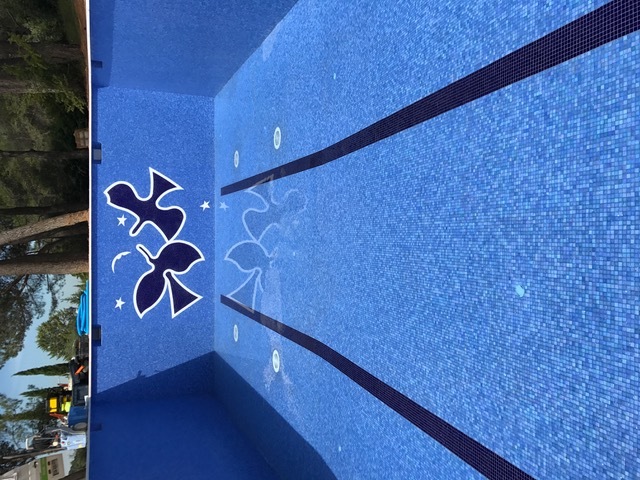 Keep following us and in the mean time browse our Pool Catalogue.